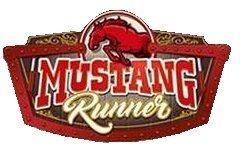 Mustang Runner is getting close to being ready to test. All of the carts have been hung. Now they are working on the wiring. Who is ready to be whipped around on this new ride?